Island United Church is a distinctively diverse congregation situated in the heart of Foster City. We are multi-cultural and multi-racial. We are officially an “Open and Affirming” congregation, meaning we are committed to welcoming and embracing all people, including those of all sexual orientations, gender identities and gender expressions. In fact, we are committed to welcoming people of all backgrounds into the full life and of the church. 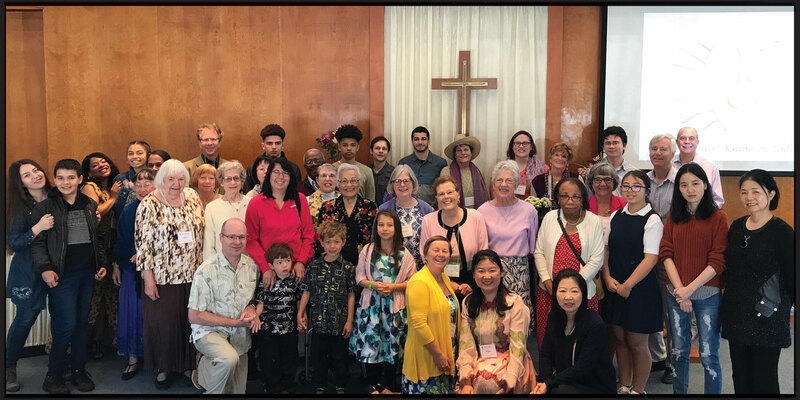 We were founded in 1969 when the United Church of Christ, the United Methodist Church, and the Presbyterian Church (USA) joined hands to form several ecumenical congregations in the Bay Area, including in the then newly-established community of Foster City. While treasuring our roots, we continue today to identify solely as a congregation of the United Church of Christ, connected to the wider denomination through the Golden Gate Association, and the Northern California Nevada Conference. We are spiritually serious people (and humor-loving!) who seek through study, worship, and service to become better followers of Jesus. We honor the words of the prophet Micah to “seek justice, love, kindness, and walk humbly with God.” And oh, yes — we also happen to be a lot of fun, and we love to eat! Take a Tour of our church facility. equip members to transform the world through God’s love. Worship with us at 10am on Sundays. is proud to be a Safe Church. We operate All Are Friends Montessori Preschool as a part of serving our community. See their site for full information.